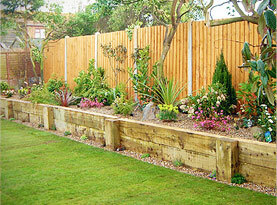 Trees add a significant amount of character to your home’s landscape and curb appeal. Many trees are a home to tire swings, tree house and bird houses that have become a big part of your day to day activities. Removing a tree from your property can sometime become difficult if you have grown attached to it or the memories that you and your family have spending with it. 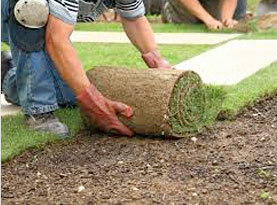 In many situations, a tree can become so familiar that it is hard to imagine what your yard would look like without it. The trees on your property are beautiful, create a shady place to relax, and make a lovely sound as the breeze passes by, but sometimes an old or decaying tree can become dangerous to have around, and put you and your family at risk of becoming injured or even your home becoming damaged. Bell Tree Services will determine if any trees on your property are dangerous or need to be removed to keep you, your family and your home safe from any harm. There are many different signs that indicate a tree on your property is in need of removing. The most obvious sign is when the tree is dead. A dead tree is dangerous to have around because it no longer has a strong root support and can easily fall down, onto a person, a vehicle or your home. If you have a dead tree on your property, contact Bell Tree Services today to schedule the removal of the dead tree. Unhealthy trees should also be removed, if the top of your tree branches are dying back or the trunk shows any sign of decay, then your tree is unhealthy. Mother Nature can be a beast, and when she strikes, it can be devastating to some trees. Trees that have been damaged in a storm and are beyond repair should be removed from your property. Another reason to consider having a tree removed from your property is when it is growing too close to your home or the roots are encroaching on your home, utility lines or other structures. If there is a tree leaning in a dangerous direction, towards your home, driveway, deck or an area where your children often play, it is definitely time to have that tree removed from your property. 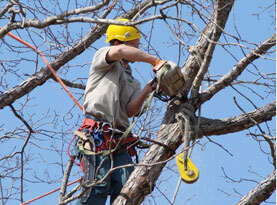 Bell Tree Services will remove dangerous trees from your property and keep your home and occupants safe. 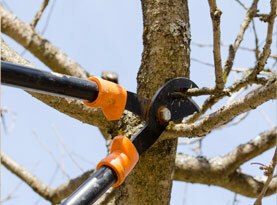 Removing a tree from your property is a big job and should always be done by a professional. Removing a tree from your property is also a very dangerous job and requires special skills, experience, expertise and tools. You will put yourself in a great deal of danger if you attempt to remove a large tree from your property without the assistance of a professional. Avoid becoming injured, damaging your home and putting your family at risk, call in the tree removal professionals at Bell Tree Services today to make your property safe and eliminate the presence of any dangers that trees may pose.